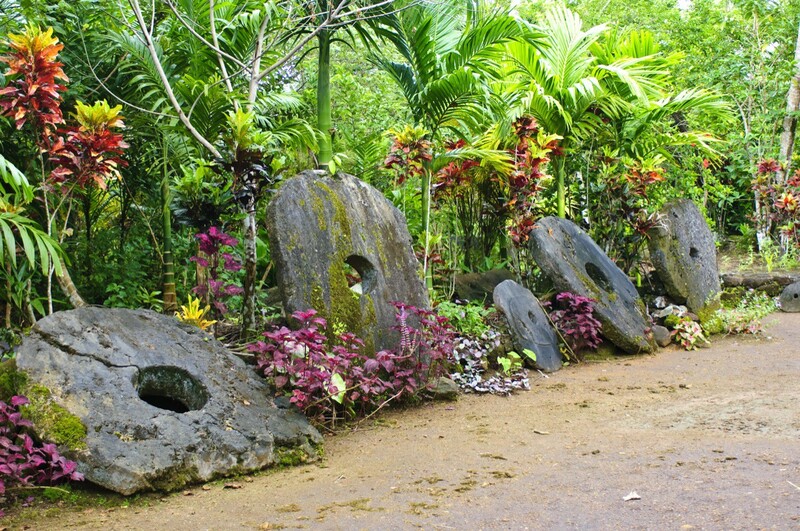 Many phenomena have been credited with the invention of stone money by tourist guides to Micronesia. Among inventors were named space aliens, disappeared giants inhabited the mythical continent of Lemuria - bored mere mortal is free to choose a legend to his liking. Meanwhile, it is known that the exotic currency which is called rai, appeared about five hundred years ago, in the heyday of the Neolithic culture of the Caroline Islands. A civilization that was able to erect a monumental city of Nan Madol on artificial islands, undoubtedly had a complex multi-layered economy, which required a universal equivalent of commodities, rarely found in nature. Europe used to send expeditions for gold, and Yap navigators explored a large deposit of the mineral aragonite in the coral rocks of remote Palau island. 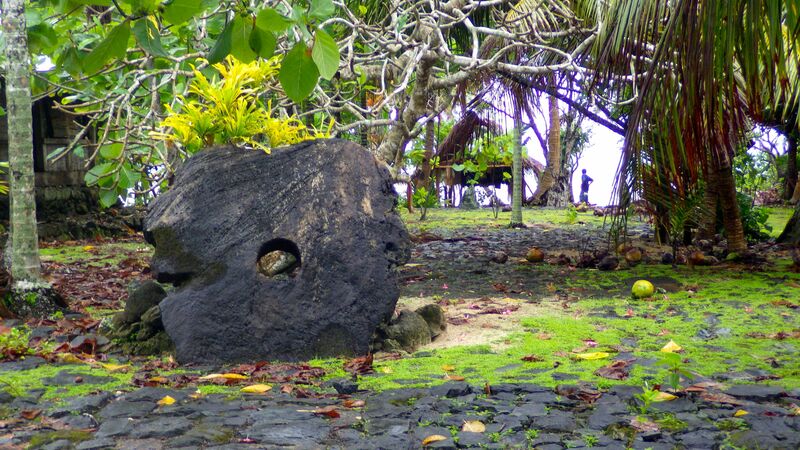 The islanders were amazed by the beautiful stone with pearlescent, like Gauri shells, serving as exchange coin in small transactions, so, briskly knocking of stone axes came to Palau, however, it proved to be very difficult to "chop" currency. Local leaders have imposed a strict tribute for production of aragonite, and forced guests from Yap to perform heavy chores for access to the deposits of strategic resource. They had not much time for manufacture, and the miners worked from dawn to dusk. While some workers were digging impregnable rocks, and climbing up the steep slopes with agility of a monkey, others were hewing stones with sharpened shell knives, shaping disks with a circular through hole for carrying on a bamboo pole. They did not have food every day, and survived on a meagre diet of shellfish and edible shoots of taro plants. Yet, workers had a hard four hundred kilometres long journey back home on overloaded leaky boats. Many boats overturned and sank - weakened rowers could not cope with high waves. Not surprisingly, that rai obtained at the cost of human lives, were revered as a shrine: it was strictly forbidden to sit or to stand on the stone, and only representatives of the two higher castes were allowed to possess that kind of money. The most valuable specimens were assigned names, and transactions with their participation was accompanied by solemn ceremonies and dances. Nominal value of rai depended not only on the disc size, but also on the individual stories related to production, transportation, and track record of each stone, known by heart by every islander. Also owner status had value: coin, after having been in the hands of the leader, dramatically added to the price. The stone disc with a diameter of two meters and a half was equivalent of a boat or a piece of land, and the larger rai helped marry off a notable bride. The tradition of paying stone money for a bride has been observed till now, but young people can hardly take seriously customs of their ancestors. Rai were stored in equipped areas like banks, near the communal houses. When all the banknotes are known personally, theft makes no sense, so why bother to move heavy stone blocks from hut to hut? 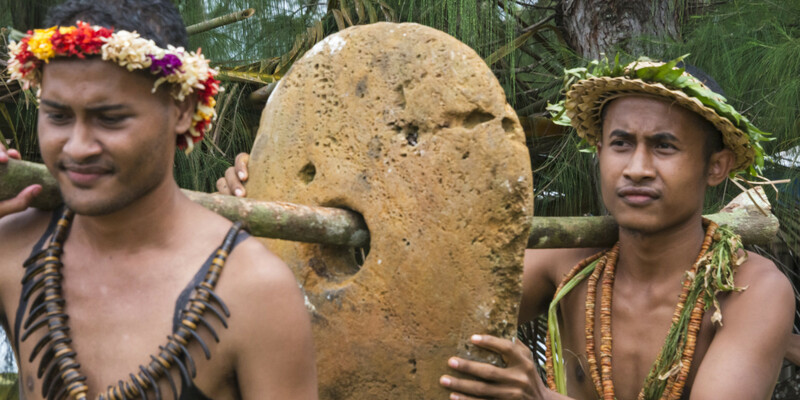 Moreover, the Yapese had extensive knowledge of the cryptocurrency mechanism: lost in a shipwreck discs were successfully replaced by the stories of witnesses who confirmed quarrying and long transaction history stored in folk memory. The most famed rai bank located on the atoll Rulung near the town of Colonia, capital of Yap. Here are exhibited huge coins about four meters in diameter, made in the late 19th century. That time Yap was raged by rampant inflation, provoked by one man. Convicted for murder in his native Georgia, the USA, sea captain named David O'Keefe escaped from justice, he was surfing the Pacific Ocean on a fishing boat, till in 1871 was shipwrecked near Yap and was helped by the local sorcerer. Recovered, enterprising sailor suddenly realized how to earn extra money on the naive natives. To begin with, he supplied Yapese men with iron tools, and local banks got overloaded with raw material. Inspired by success, the local masters made tons of new coins, they wanted to ship them to Yap but lacked boats. It was time for O'Keefe’s proposal, which tribal elders failed to decline – an enterprising Irish American contracted to transport rai in exchange for sea cucumbers and copra. Soon the island was swept by monetary fever, between Palau and Yap continuously shuttled agile ship, but O'Keefe rapidly grew rich by reselling exotic products to Hong Kong. Aborigines were blissfully happy with a crazy wealth, but a fairy tale ended as suddenly as it had begun. Money has become much more than the commodities, wealthy families impoverished, left on the ashes of hope with useless piles of stones, which were good for a building a hedge only. In 1890, Germany bought the "island of bad luck" from Spain, so German administration had to deal with inflation. Rai production was limited at the legislative level, and exchange surplus was unceremoniously removed for the construction of roads. 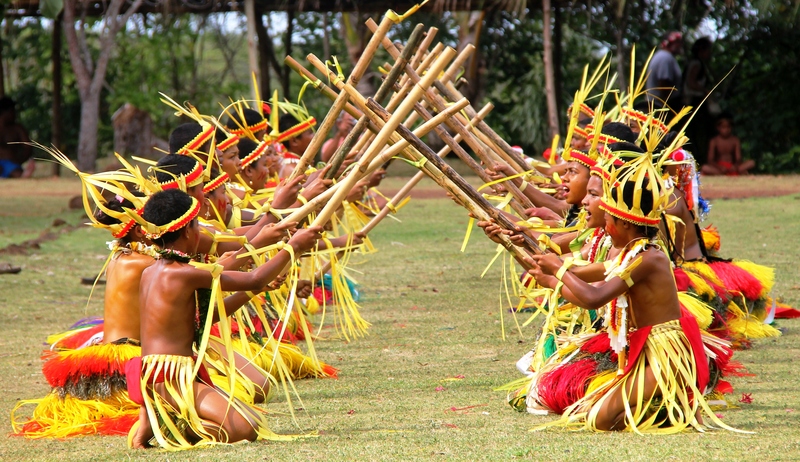 Before gaining independence by Micronesia, Yap Archipelago changed owners three times, having lost nearly half of the remaining stone money on the steep turns of history. Nowadays the Yapese prefer US dollars, and artefacts serve as an exotic background for photo shoots - according to recent data, on Yap there are over 13 thousand rai.